But I have not posted any good material on the basics of IPv6. I am planning to post some good tutorials of IPv6 subnetting. But in this post I am adding one of the IPv6 videos which clears all about the IPv6 w.r.t design and implementation. I found one weird issue during my testing lab where in end to end RSVP-TE was configured and all the customer traffic forwarding was done on those tunnels. But suddenly I found that the traffic started drop but the tunnels were up. Then after deep analysis of FIB and LFIB, I found that the one of the node was advertising label for RSVP TE but the next node was not able to receive that label. After refreshing the labels, everything started work. Now the question comes, if some of the node start misbehaving with label, in that case my path and resv messages should get dropped or not. I am not sure about it. But the given post helped me lot to find the RCA. How to troubleshoot MPLS VPN? When and where PHP happens? How Does Label Distribution Protocol(LDP) Initializes? Highest loopback id starts the Label Distribution Protocol initialization process by sending common session parameter TLV which includes a sub TLV of parameters containing session protocol version, session keepalive time, advertisement method, loop detection and session path vector. 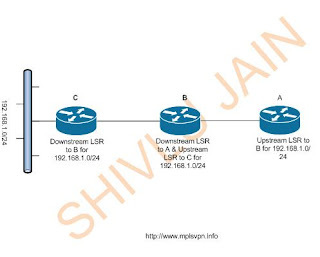 In the given diagram, I have started MPLS LDP firstly on 100.100.100.1 (R1) and 100.100.100.2(R2). So in this case R2 send a first initialization message to R1 by adding all the above TLV parameters. Structure of LDP initialization message sent from R2 to R1. Being R2 is having highest LDP router id, so it start sending the label information to R1. We can say R2 is working as downstream LSR to R1. R2 sending Address message and label mapping message which are sub part of label distribution protocol. Address message is only containing the directly connected interface ip address of R2 which are 1.1.1.2, 2.2.2.2 and 100.100.100.2. Along with this R2 is also sending label mapping message which is containing the information about route, label and address family. Address family means whether it is ipv4 route or vpnv4 route. R2 is sending a information about 1.1.1.0 prefix by including label 3 which is used for PHP (Penultimate Hop Popping). The same way R2 is sending a label 16 to R1 for 100.100.100.1 which is loopback address of R1 itself and label 16 becomes as local label in R2 forwarding table. Once this is done then R1 initiates a label mapping process by sending the label and FEC information to R2 ( R2 is upstream LSR to R1). After this, R3 is started which is having loopback address of 100.100.100.3. In this case R3 will start the initialization process of LDP being R3 is having highest LDP router id. Now R3 becomes downstream LSR to R2 and R2 becomes upstream LSR to R3. Once R3 will exchange all the label mappings then R2 will initiate the process and send the information to R3. How does LDP sends new updates to its peer? LDP uses label mapping message to send the partial label updates to its peer. Label mapping message is containing the information of new route 100.100.100.100 with label 18. What is downstream and upstream router in MPLS? Downstream router is the one which is responsible to advertise the label first to upstream router in case of downstream on demand method is selected. Upstream router is the one which advertise the labels to its downstream router after receiving label bindings from it. From the last two decades Ethernet is becoming the dominant technology in service provider as well as in Telecom domain. Being it’s asynchronous behavior, providers faced lot of issues to integrate it with the existing TDM technologies. TDM mainly works on clock which means synchronization is required among all the nodes. Now service providers are moving towards the Next Generation Network aka NGN or Packet Converge Network aka PCN. 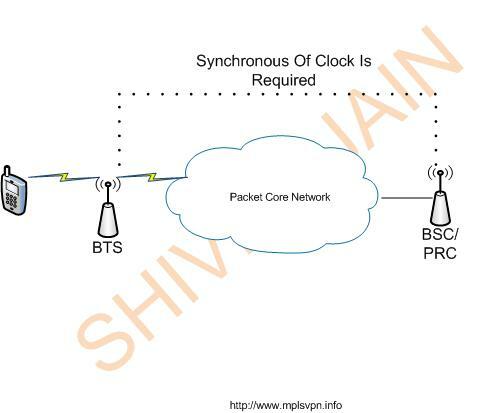 The challenge which they are facing is the clock synchronization between the TDM networks over Ethernet network. By nature Ethernet doesn’t provide any clock mechanism but thanks to synchronous Ethernet aka syncE which helps to make communication possible between TDM to TDM cloud over packet core network. In synchronous Ethernet frequency is transferred over physical level than using any upper layers. Every syncE network equipment contains an internal clock called Ethernet Equipment Clock aka EEC. By doing this master slave interconnected tree is built and clock is passed from one node to another. One primary reference clock (PRC) is used which normally serves the clock to the equipments. Reduce the jitter in clock. Act as a node clock. Serve the clock in case of failure of PRC. The highest bid of Rs 2,293 was achieved by Mumbai and the second highest of Rs 2,241 crore, by Delhi. Qualcom and Infotel won the licence for both Mumbai and Delhi. Bharti and Qualcom won the bids for four broadband circles.